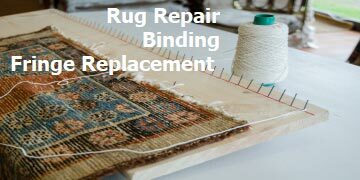 Are you in need of rug repair? The Woodlands Rug Repair Crew can help! With 30 years of experience behind them, our The Woodlands Rug Weaving and Repair team includes professional technicians, each of them experts in their own field such as the Senior Rug Expert, the Master Weaver, and the Fringe Binding and Surging Specialist. 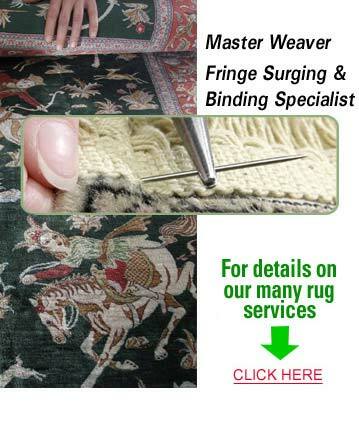 Our team includes professional The Woodlands Oriental rug weavers. At The Woodlands Rug Repair, our company can address all your rug repair needs whether you possess a small rug for your home office or hallway, or a large, expensive and exquisite heirloom rug. Our professional staff is well versed in all aspects of The Woodlands rug weaving and rug repair such as Persian rug weaving, Oriental rug weaving, and hand weaving patterns. Call KIWI Services at 713-595-0425 with any questions to learn more about our rug weaving and repairing services in The Woodlands, Texas and to have us come out to your home and repair your rugs!